Lift components that are reliable, tailor-made, and that purpose solutions to the broad range of special situations which our customers face; lift manufacturers, installers, maintenance, and end users of elevators. 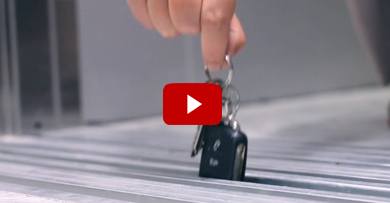 OKATT develops the first solution of the market to avoid the keys to fall down the elevator shaft. For more information click on KEYCATCHER. OKATT will be present again in Interlift 2017, reinforcing its presence in the elevator market. Visit us at Hall 4, Stand 4015. Watch the VIDEO of the certification test for the new Buffer Support for Reduced Headroom. This innovative and very compat product has been designed to meet the EN80-20 requirements. CONTACT US for more information.